McCulloch Hall is one of seven buildings named for notable secretaries of the United States Treasury at the suggestion of George F. Baker. McCulloch Hall is named for Hugh McCulloch. McCulloch Hall is an MBA student residence built in 1926 as part of the original McKim, Mead & White campus plan. Much of the interior of the U-shaped, brick, Georgian Revival-style structure was renovated in 2008 to upgrade safety systems, lighting, and finishes while meeting sustainability goals and adhering to modern, green building guidelines. Improvements to the 53,118-square-foot facility included new flooring and ceiling tiles, window repair, low-flow plumbing and fixtures, and upgraded electrical systems. When work was completed in 2009, McCulloch Hall, home to 84 MBA students, was awarded Platinum LEED certification, the highest possible LEED certification and one of only 56 projects worldwide to achieve that distinction at the time. More than 80 percent of MBA students live on campus, taking advantage of the proximity to classes, extensive academic and social resources, and opportunities for peer learning. 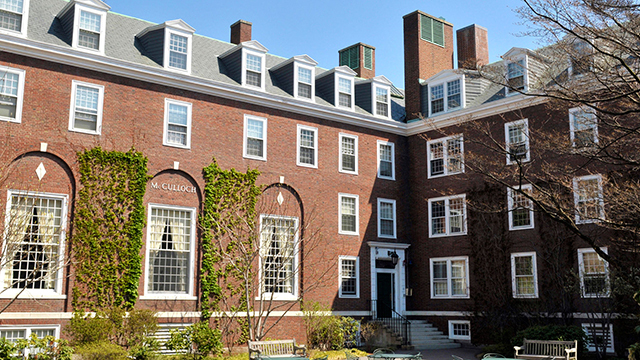 McCulloch Hall is one of seven buildings named for secretaries of the US Treasury at the suggestion of George F. Baker, the prominent banker who funded the construction of Harvard Business School’s original campus. The building was named for Hugh McCulloch (1808-1895), a conservative Indiana banker who served two terms as treasury secretary: the first under Presidents Abraham Lincoln and Andrew Johnson (1865-1869) and subsequently (1884-1885) under President Chester Arthur. 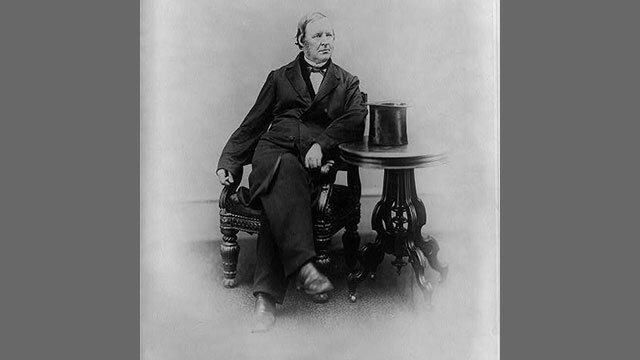 McCulloch arrived in Washington in 1862, determined to alter proposed legislation to establish a national banking system, which was intended to help finance the Civil War and provide a stable, national currency. When the measure passed over his objections, Treasury Secretary Salmon P. Chase asked McCulloch to help implement the new system. McCulloch reluctantly agreed, and in 1863, he was appointed the nation’s first comptroller of the currency. His efforts to persuade state banks to apply for federal charters were largely responsible for the success of the National Bank Act. In his first term as treasury secretary, McCulloch advocated for the adoption of the gold standard to counteract inflation caused by the government’s wartime issuing of paper currency. The gold standard was adopted in 1866 but proved unpopular and was abandoned two years later. McCulloch continued his advocacy of currency backed by gold for the remainder of his career.